Every year, millions of people make New Year’s resolutions. Unsurprisingly, most resolutions are focused on money or weight loss while only a small percentage commit themselves to focusing on anything career-related. Maybe you are afraid to launch your career growth plan because you know, deep in your heart, that you may not be able to accomplish it. Let’s face it folks, we are afraid of failure. You know what? That’s ok. You’re not alone. According to one study, around 80% of Americans drop their New Year’s resolutions like a hot potato within six weeks. Conversely, however, a study conducted by the Journal of Clinical Psychology found that 46% of people were still making strides on their goals six months later! So, who’s right? Who cares! 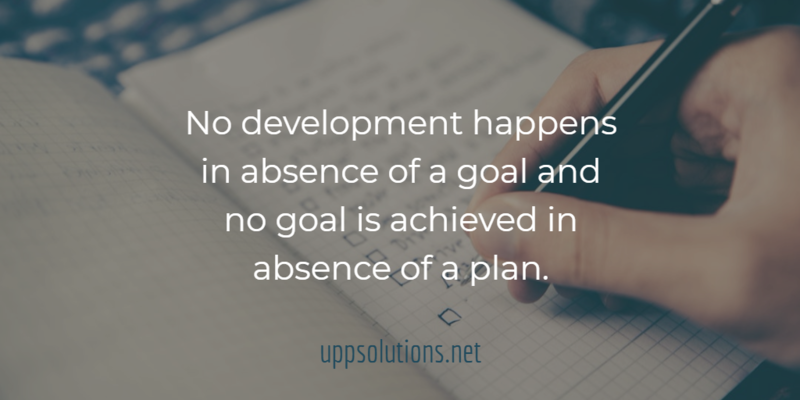 Based on my experience, I have found that the main driver behind failed resolutions or any goal you set is because there’s NO PLAN. Let’s get right to the point and talk about how to set you up for success! I challenge you to make a commitment this year to focus on your career journey. Many professionals don’t pause to make a plan because they are ‘too busy’. Or, even if they do – their plan sounds something like this: “Get a better job”. Right. First of all: how do you know what job is better? The quick answer for most people is: “Because it pays more money”. The problem with this is, you could be completely miserable or in the wrong career focus altogether. Trust me – you will be much more successful if you have the right career focus to begin with. This leads me to the very first step in your successful career growth plan: what’s your target? In 2018 I saw a huge surge in the number of clients I coached to find Career Clarity. It’s not at all uncommon to be a little uncertain what the next best step for you might be. Let’s walk through some of the basics to defining your Career Target. Cross off any work-related tasks that drain your energy and remove them from your list. Highlight those items that give you energy. What do you enjoy doing at work? Separately, create a list of industry trends or professions that draw your interest. Research job postings for the positions that draw your interest. Compare your original skills list to the job postings requirements. Ideally, choose potential Career Targets from the positions you are a +60% match for. A Gap Analysis is the distance between where you are right now and where you want to be. Whether you want to move up the ladder, shift careers or just become better at what you do: it’s critical to understand where you are right now first. You can’t start if you don’t know what the starting line looks like. No matter what your focus is, there will be a bridge that you must build to reach your goals. Do your research and get a very clear picture of what success looks like for your career growth plan. From the previous step, you have an idea of what that research might involve. I also recommend talking to experts in the positions you wish to achieve. 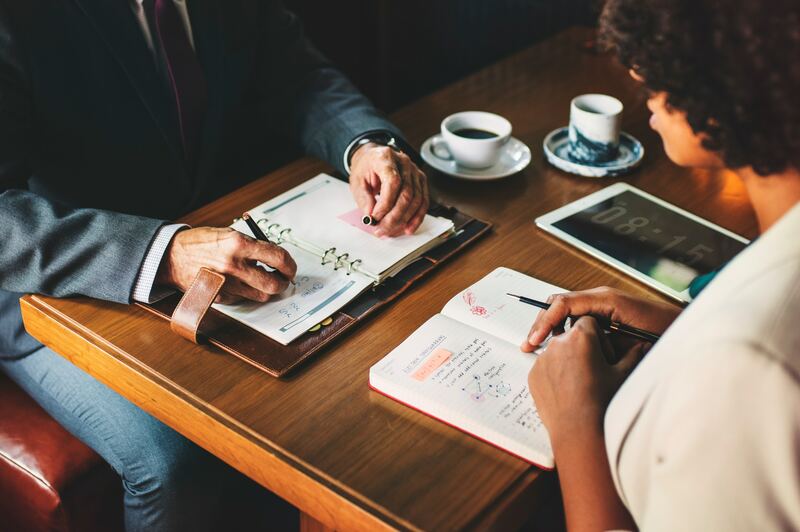 Connecting with a mentor will be a tremendous push in the right direction. Most people just jump right into doing random things or they get stuck in analysis paralysis. Neither one will help you much. In fact, you can’t even create a plan until you have built the framework first. Develop an outline that covers the critical milestones you need to cover between where you are now and where you want to be in your career. Once you have your outline, arrange the milestones in chronological order. In other words, what you do need to achieve first before you can successfully reach the next step on your career growth plan? Now, you can actually build an action plan for each milestone towards your goal. For example: if you need to become certified in a new skill/ability – achieving that certification is a milestone. Your action plan is what you DO to accomplish that milestone. Such as: “Take online course”. Planning Tip: Be specific with your action plan for each milestone. Instead of generic statements, include the who, what, when, where and how. The biggest challenge I see my clients face is prioritizing their actions. The path to success is filled with trade-offs. If you want to devote a portion of your time to your career goals, you have to set aside the time and stick with it. Some things will have to give. It will take dedication to your plan to achieve success. It’s easy to say, but let investigate what prioritizing really looks like. First, your goal has to be in alignment with what you want, not what someone else wants or you’ll never make it happen. We don’t have the same inspiration to devote our time based on other’s expectations. Second, establish a weekly routine. It will take you longer than you think to form a habit. The best way forward is to set up your week ahead of time. Plan out and set aside the time it takes to act on your goals. Third, weigh every competing factor against your goals. If you truly want to prioritize, you have to be a little ruthless. What are you willing to give up to succeed? Learn how to say “No”. Last, but certainly not least: what’s your support network? Do you have others that can help you along the way? I ask my husband to pick up the groceries so I can focus. I order things online so I don’t have to go out shopping. I sometimes have to forgo fun in order to get closer to my goals. It’s tough from time to time (particularly giving up fun) but I have to remind myself that it’s not a vast price to pay in order to see the career growth I want. A plan doesn’t do you any good unless is acted upon. My advice: just get on with it already! Sign up for that course, buy that book, or set up that meeting! If you wait around or set some nebulous date in the future to take action, it will never happen. There is no such thing as a perfect moment. You either make that moment happen or you don’t. It’s that simple, as long as you have taken the steps you need to get to this point. Another big component to success is keeping the balance. If your career growth plan looks like all hard work, all the time: you will stick to it for about 2-3 week and give up. No amount of achievement is worth giving up your happiness for! Increase your chances of success by allowing yourself to have a life too. Set feasible goals and realistic milestones that can be woven into your life with relative ease. As John Maxwell says: “Everything worthwhile in life is all uphill.” Don’t make the hill steeper than it needs to be so you can enjoy the view on the way up!